According to NABS’ President Jeffery Dooley, every November, the Association invites members from all over the world to join them at their annual summit. 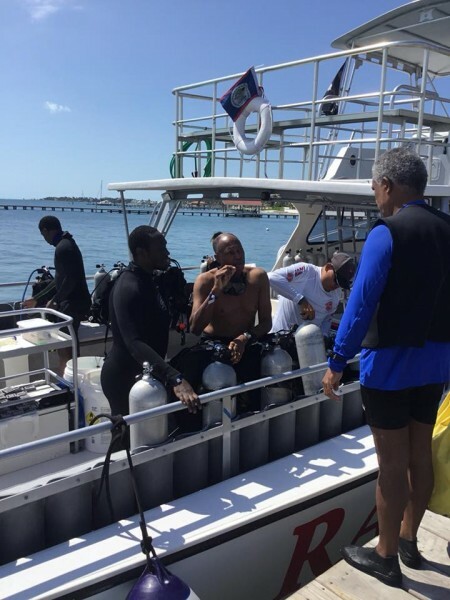 “Every year our annual dive summit is organized in the Caribbean region, where new and old members experience exotic dive locations, while at the same time, give back to the community,” said Dooley. He shared with The Sun that NABS is made up of over 15 dive clubs in the USA. He made it clear that the organization is open to anyone regardless of their race, skin color, gender or religion. “If you have a passion for scuba diving and want to be part of our organization, you are more than welcome to join,” says Dooley. According to him, being a diver is not a mandatory requirement when joining the organization. During the week of activities, the summit provided three daily dives. 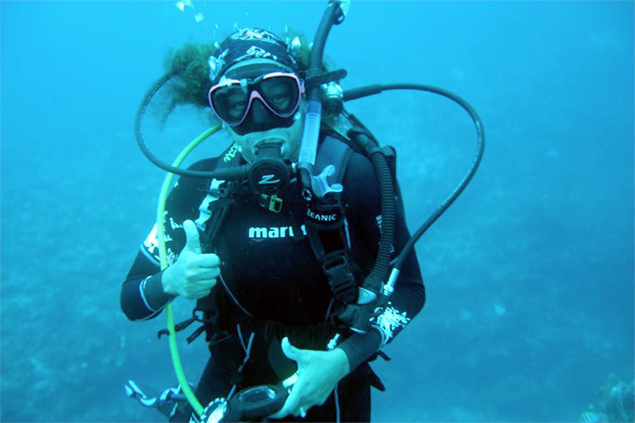 “The divers enjoyed some of the best dives around the island. They visited the Hol Chan Marine Reserve and some even went to the Great Blue Hole and Turneffe Atolls. Combining all the dives done by everyone, we did over a thousand dives during this trip,” said Dooley. 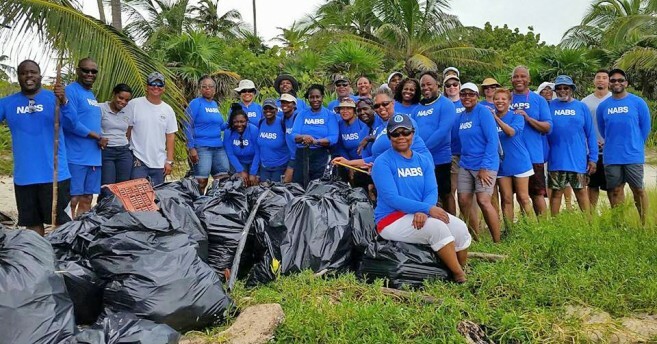 In addition, the group also managed to remove around 75 lionfish from the reef and conducted a beach clean-up in northern Ambergris Caye. “This is how we give back to the community, besides using its services, we like to go beyond and leave the community in a better state,” said Dooley. “He also mentioned that NABS is very active in marine archaeology and in the event of the discovery of a wreck, they can provide mapping services. Also, they work on marine restoration projects dealing with corals and seagrass beds. NABS was established in 1991 by Ric Powell and Dr. Jose Jones. The duo was the two earliest African-Americans to become certified divers, and their work together ended up in the creation of NABS. Persons interested persons in joining the organization can do so by visiting www.nabsdivers.org. 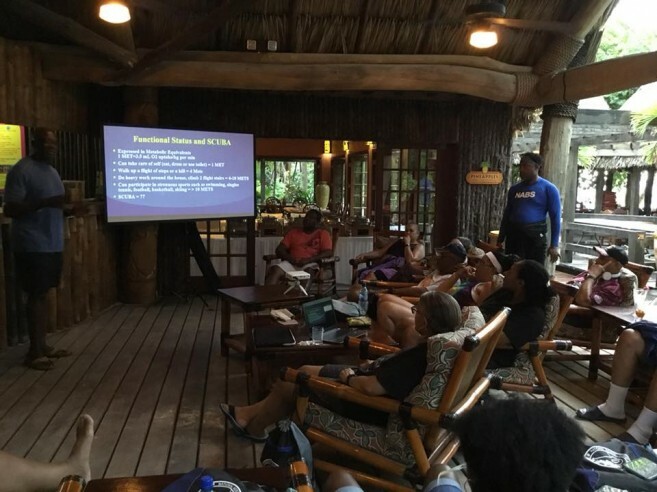 The organization is working on another diving trip to Belize for the near future, which will include different groups of young divers from the United States, Roatan, and Belize.